The British government has gained illicit access the world's communications infrastructure and is storing an unfathomable amount of phone calls, emails and online communications, according to the latest alarming leak from the ongoing surveillance scandal. The new information from National Security Agency whistleblower Edward Snowden claims to lift the lid on initiatives from the U.K. Government Communications Headquarters (GCHQ), which Snowden said is worse for spying on citizens than its U.S. counterpart. As reported by the Guardian, the documents make reference to two initiatives known as 'Mastering the Internet' and 'Global Telecoms Exploitation,' which have apparently been in operation for 18 months. The secret program, codenamed Tempora, has reportedly allowed GCHQ to store vast swathes of phone calls, Facebook entries, email content and browsing history from innocent citizens, as well as targeted suspects. According to the leak, the British agency is sharing all of the data, obtained by tapping into transatlantic fibre-optic cables, with the NSA in the United States. Speaking to the Guardian, Snowden said: "It's not just a U.S. problem. The U.K. has a huge dog in this fight. 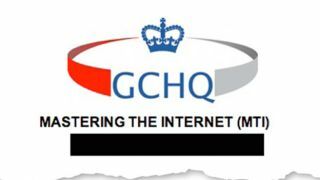 They [GCHQ] are worse than the U.S."
The publication's report claimed that the GCHQ has a team of 300 people sifting through the data, while the NSA has another 250 analysing it across the Atlantic. The Guardian also reported that 850,000 NSA employees and contractors have access to the data provided by the GCHQ. Commercial companies are also said to be assisting with the collection of data, with some apparently having been paid for the privilege and referred to within to the documents as "intercept partners." It looks as though the GCHQ took extra care to keep the companies' identities hidden, even encouraging staff to disguise the names of "the origin of 'special source' material" in reports. According to a Guardian source with "knowledge of intelligence," even if companies didn't want to cooperate, there were ways to make them oblige. The same source claimed that despite the lack of required warrants, the operation has been carried out legally and resulted in "significant breakthroughs" in fighting terror and organised crime. Legal or not, the alleged alarming invasion into the private lives of citizens was done without any public consultation or debate. When word of Prism first broke out earlier this month, it was reported that the GCHQ was using the same software to cull web history data, email content and file transfer information from companies such as Apple, Google and Facebook. Prism is mentioned briefly in the Guardian's most recent report as an NSA-created "second window" into the lives of citizens, with Tempora being the first. While Brits have been shaking their heads in dismay at the news coming from the United States over the last couple of weeks, it seems the problems are of equal, if not greater concern, on home soil. Update: The U.S. government reportedly filed espionage charges against NSA leaker Edward Snowden today and have started the process to bring him to the U.S. to stand trial. Officials speaking with NBC News said the charges accuse the former defense contractor employee of "violating federal espionage laws by sharing classified documents with people not authorized to receive them," as well as charges alleging he stole government property. Snowden is thought to be in Hong Kong, and the next step will be for authorities there to take him into custody, followed by a formal extradition process. The U.S. reportedly delayed filing charges until it was clear they complied with Hong Kong's extradition treaty. Julian Assange earlier this week said the WikiLeaks team has been in contact with Snowden's lawyers and are working to secure asylum for the American in Iceland.